If you’re looking for a high-tech way to monitor every move of your newborn baby, then the Summer Infant in View Digital Video Monitor is perfect for you. 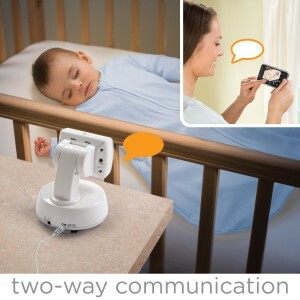 To help you decide on whether or not it’s exactly what you want, here is a brief overview of this super advanced baby monitoring system by Summer Infant. 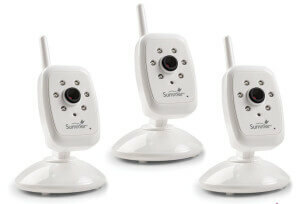 The Summer Infant in View Digital Video Monitor is a dynamic digital monitoring system that comes equipped with a camera that has digital zoom and a 5-inch LCD handheld unit. In addition to having digital zoom, the camera also features a swivel design along with automatic black and white night vision. Just like the camera, the handheld unit also has some pretty impressive features including a flat-screen color LCD, sound activated LED lights, adjustable volume and brightness controls, and a power-saving one touch video on/off button. If that wasn’t enough, the system is one of only a few that is 100% digital operating on 2.4 GHz, offering you a high amount of security. It has a range up to 600 feet and up to three cameras can be added to it. We decided that we wanted to really see if this baby monitor system was really one of the best on the market. So, we did some extensive research to see what people had to say about it. We focused on the reviews and information found on different retail websites. Plus, we also went to online parenting forums to see how parents felt out it because we really wanted to see what their opinions were on the matter given that they’re the ones who would primarily use this type of monitor. After compiling all the data, we found that there were both pros and cons associated with the system. Swivel design allows the camera to be mounted on a dresser, wall, tabletop, or nightstand since it comes with mounting hardware and security clips. The camera was easy to control, especially the zooming function. The large 5-inch LCD screen was a hit. Parents liked being able to use the remote displays that were on the monitor. People liked the option of being able to add additional cameras. Some people found the colors were a bit off with the monitor and weren’t happy with the picture quality. The battery life on the unit seemed to be short lived at times, even when it wasn’t being used. A few people felt that the LCD monitor went into sleep mode too soon. Go online to see what’s available. Different sites and stores will offer the product and some will charge much, much less than others. Determine specifically what you need out of the monitor. Like, if you’re going to run it non-stop, then you might want to go with one that has longer battery life. Or, if you have a hard time seeing, then the bigger LCD monitor that the Summer Infant selection offers is probably what you’re looking for. See what others have to say about it. It never hurts to ask what your friends, family, and fellow parents have to say about monitors and which ones they like. And remember, you don’t always have to listen to what they say. Finally, just review all the info on the monitor that you’re looking to buy and make a decision. If you’ve done your homework, this will be easy. 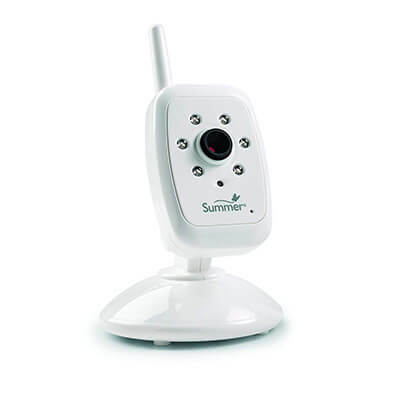 Ultimately, if you want a very high-tech way to observe what your child is up to when you’re not in the room, then the Summer Infant in View Digital Video Monitor is the infant monitoring system that’s ideal for you. Available at a wide variety of online and traditional retail stores, purchase one today. You’ll be pleased you did when you know your baby is sleeping safe and sound.